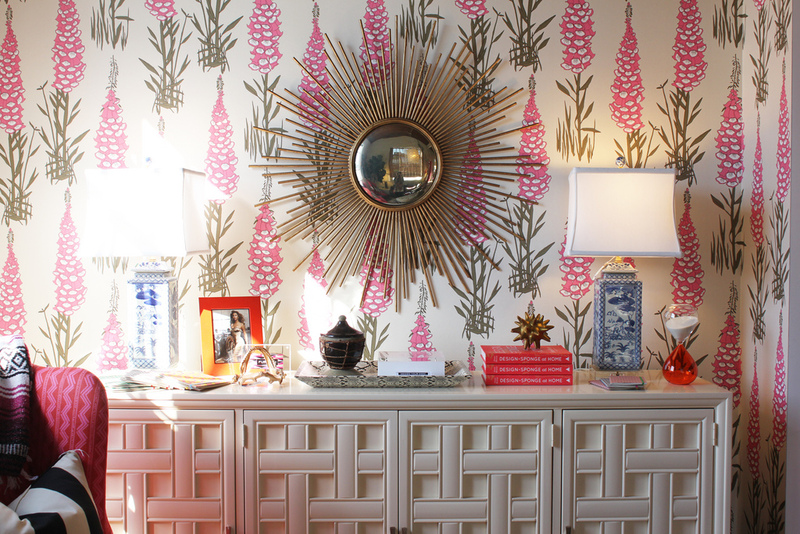 Some interiors from Furbish Studio caught my eye today. 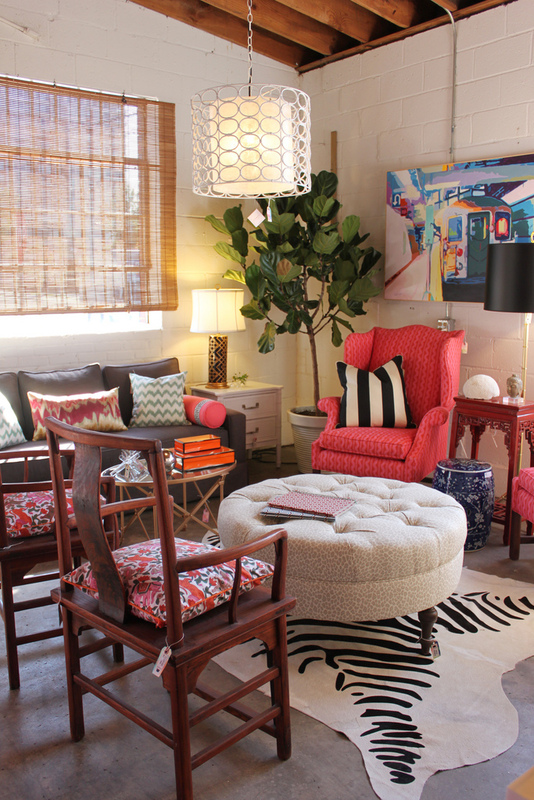 Cute waiting room and/or living room, all patterned pillows and pastel colors – I’m especially in love with that raspberry armchair. 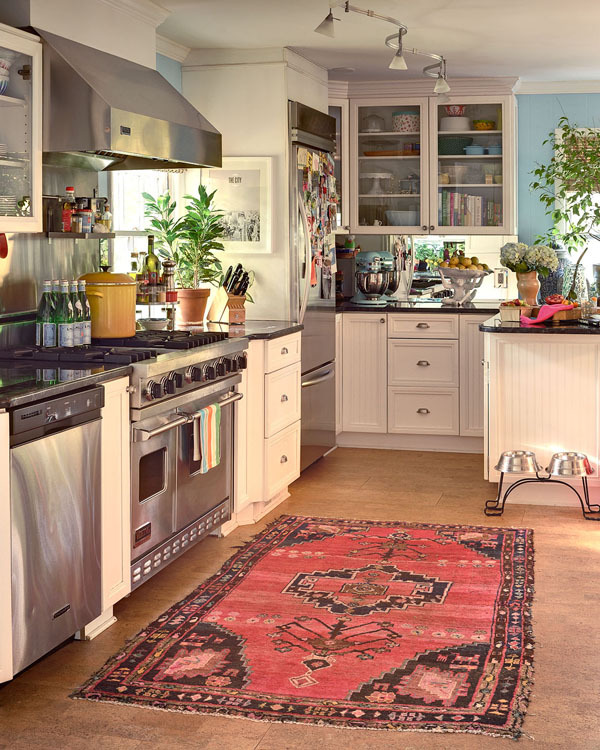 This is a fairly ordinary kitchen, but I love the boho rug and the plants that brighten it up. 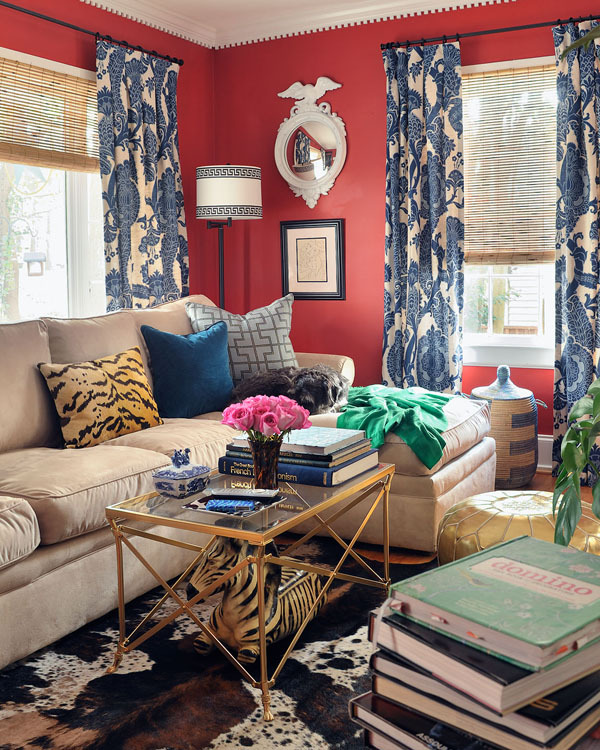 This eclectic interior has bold background accents – velvet red wall, blue and white curtains – balacned out by plain tan furniture – and a vaguely colonial air, with its leopard-print pillow, zebra table, and spotted rug.